This opinion editorial (Op Ed) first appeared on April 25, 2013 in the Telegraph-Journal, Saint John, New Brunswick, and is re-printed here with permission. Dave Hardy, president of Hardy Stevenson and Associates Limited, believes that the Benefits Blueprint drawn up to combat ‘boom and bust’ in the province still has merit as a way to plan for and secure economic growth. Photo: Peter Walsh/Telegraph-Journal archive. A generation ago, urban and rural planners worried about “boom bust” effects associated with large mining, energy and infrastructure projects. We observed people, money and machinery coming to communities that were unprepared to address rapid growth during the construction stages and unable to cope with the economic decline and out-migration that often follows construction. These effects also occurred when a single-industry community saw its workforce being laid off due to a company’s changing economic circumstances. While we still have examples, such as in the early days of Fort McMurray, Alberta, we’ve learned much about how to manage growth. Today, most communities across northern Canada and other high growth areas gather information about a company’s plans well in advance. They identify what community plans and projects need to be in place to foster “best outcomes” for residents. In some instances, they negotiate and sign Impact Benefit Agreements with project proponents. In other cases, they leverage the boost to municipal and provincial tax coffers. Today’s best examples feature communities that have not only prepared themselves to be resilient, but have embraced economic opportunities as they occurred, and thrived. There is no boom and bust. Instead, there is steady, predictable and managed social and economic development. Infrastructure and institutions expand as the economy expands. Moreover, benefits accrue to all sectors of society, including those people most in need. 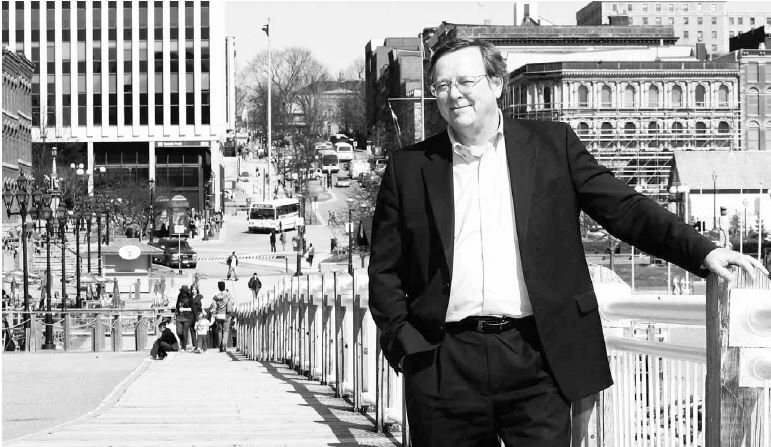 In 2006, Saint John area residents and the province faced a watershed moment. Major investments were planned and underway, including a new potash mine in Sussex, a liquefied natural gas facility and pipeline in Saint John, the refurbishment of the New Brunswick Power Point Lepreau Generating Station and a possible second nuclear reactor. The most significant of these was a second oil refinery in Saint John. To plan for effective growth, community leaders developed a “Benefits Blueprint,” which I worked on. The Benefits Blueprint was just that: an action plan that would manage a period of transformative growth and energize sustainable communities across the province. The unique and most important characteristic of the Benefits Blueprint is its focus on integrated planning. It outlines a process for ensuring growth happens in such a way that benefits the most people across the province of New Brunswick. I’m particularly proud that the Benefits Blueprint considered how to ensure the province’s most vulnerable and disadvantaged citizens would benefit. In addition to ensuring the host communities would be well equipped to address growth, the Benefits Blueprint would set the stage for generations of opportunity. The process of identifying challenges and priorities was also notable. The Benefits Blueprint brought together a diverse group of individuals and organizations from throughout the Saint John community and the province who shared a common vision – making their community a better place to live, work and play. Today I see that balanced network approach through the True Growth 2.0 initiative. Community leaders functioned as a working group. A larger advisory forum was established. Individual citizens, community groups and different levels of government were consulted on how to best achieve social and economic transformation. The Benefits Blueprint was completed in 2008 and continues to be one of the world’s best examples of such a plan. In fact, the Benefits Blueprint won the IPAC Deloitte Public Sector Leadership Silver Medal for Enterprise Saint John in 2010. Other communities have since taken parts of the Benefit Blueprint and adopted it for their own purposes. For example, the blueprint’s community “action plans” architecture was recently examined by the Greater Peterborough Area Economic Development Corporation in Ontario for its Integrated Community Sustainability Plan. As a Canadian model for managing growth, the Benefits Blueprint was, in some ways, ahead of its time. Innovation was centred on the recognition that economic growth and its resulting benefits and challenges are a shared community responsibility. The Benefits Blueprint recognized that the management of change must be more than the responsibility of government or a single economic development agency. Then, as now, everyone needs to play a role in making growth happen and ensuring the rising tide raises all boats. In 2009, the timing was not right for proceeding with the Eider Rock Refinery, which was the core project driving economic development. Yet, work towards greater social and economic development did not stop. Saint John area communities have since made important advances in various sectors including information, communications and technology; energy and advanced manufacturing; health and life sciences; and tourism, based on the True Growth 2.0 strategy. Five years out, the Benefits Blueprint continues to be the key to both local and province-wide prosperity. With the potential opportunity to refine oil from western Canada, it may now be time to revisit the Benefits Blueprint to ensure that all residents of Saint John and New Brunswick benefit. David Hardy is a Principal of Hardy Stevenson and Associates Limited (HSAL). He is a Registered Professional Planner and trained facilitator and has extensive experience in all of these areas. Dave has participated in over 75 environmental assessments. He has also facilitated close to 1,000 strategic planning meetings and public consultation plans for public and private clients; conducted multi-stakeholder consultation and mediation in numerous sectors; and completed environmental planning assignments for a variety of water and waste water projects. This entry was posted in Communities, Consultation, Energy, Management, Planning, Socio-Economic Impact Analysis, Sustainability and tagged community impact, social science, socio-economic, socio-economic impact assessment. Bookmark the permalink.